So you’ve got the perfect dress on, your makeup is on point and goes perfectly well with those gorgeous pumps but you still feel something is amiss. If only you had that one accessory that pulls your OOTN together. There has never been a better time (pun-intended) to accessorize with a watch. An underrated accessory that has taken center-stage now as a way to reflect your personality like never before. But how do you choose the right timepiece that defines you? Read further to find out. Buying a watch is a very personal decision as it is an extension of you, your personal style, and your persona! It is, in many ways a style statement that speaks volumes without having to do much (apart from telling time). In fact, a lot of people say that owning a watch is in many ways like finding the right guy for keeps. A watch that doesn’t sit well with your style and sensibilities won’t make you happy for too long and before you know it, you will be back to square one, trying to find the perfect match. But what does it take to find that timeless accessory? 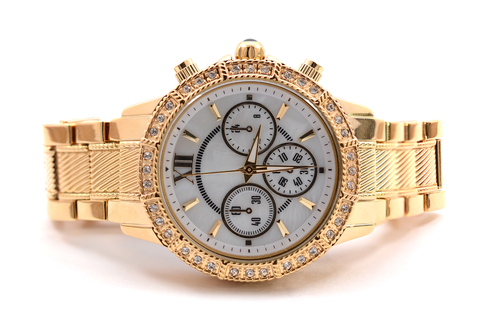 Before we get to that, let us find out the various types of watches there are to choose from. A watch that one can wear every day without giving too much thought because it just goes well with every outfit you wear. A practical watch that tells time and looks good on your wrist. However, your casual and my casual might be completely different. So to begin with, one can try buying a good looking, everyday watch from brands such as Fastrack, Titan, Anne Klein and Tommy Hilfiger. A gorgeous watch that completely translates from being a fixture on the wrist to an elegant accessory. Delicate and dainty, a dress watch is for more formal occasions and goes perfectly well with an elegant night out. Take your pick from brands such as Movado, Tissot or Tag Heuer. Brands are consciously making watches for different occasions and personalities alike. In fact dress watches make for a perfect gift for a special someone. Straight from the runway, fashion watches speak to people who love flaunting their style quotient in every element of their personality. 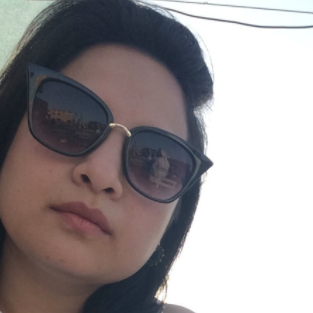 When you think of fashion watches, brands like Kate Spade New York and Fossil come to mind. These watches are meant to accentuate and bring out the oomph factor in you. Think Rolex, Cartier, Chopard, Piaget, Breitling or a brand that resonates with luxury. These are all names synonymous with luxury watches. These Investment-worthy watches are a sign of people with a taste for the finer things in life. Created keeping a certain lifestyle in mind, these watches are masterpieces by themselves and an example of fine craftsmanship. Breguet, Baume & Mercier, Longines are other luxury watch brands that you can choose from. If you love the outdoors and are an adventure seeker at heart then you need something tough and does a lot more than just tell time. Well, say hello to watches that are made specifically for the adrenaline-junky who loves getting up, close and personal with nature. G-Shock, Casio, Garmin and Suunto are brands that make timepieces for all terrains. Many believe that one tough watch is worth a hundred other regular watches combined. These all-terrain watches are extremely durable, have a long battery life and are water and shock resistant. Designed to go under water, these multi-talented watches also include features such as visibility underwater and resist magnetic forces very well. So if you love taking on physical challenges and need a gadget-like watch, sports watches are your best bet. I love tracking the amount of steps I take in a day, it makes me feel as if I got some exercise during the day, but turning on my phone ever couple of minutes is not something I like doing. So, if you are like me and love keeping track of how much exercise your body is getting, activity trackers like the Fitbit is for you. Designed to give you some control over your body and fitness, activity tracking watches are a godsend. They help monitor your heart-rate, calories burnt in a day etc. What I love is their sleek and innovative designs that are available in a riot of colours. Smart watches, somehow remind me of Star Trek. A complete gadget in itself, it is so much more than a regular watch. Sync your smartwatch to your phones and enjoy a hands-free way to stay connected. A dynamic time piece, smartwatches are capable of telling time, getting alerts and notifications and even making calls. 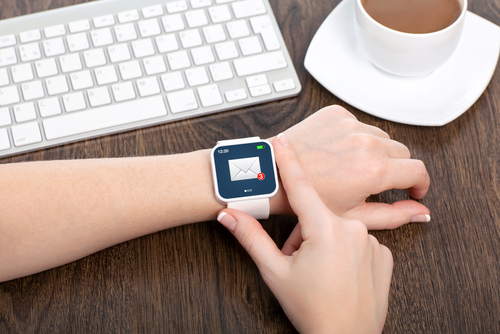 If you love technology and everything it brings with it, smartwatches are the way to go. Big tech brands like Apple, Fitbit, Samsung, Garmin, Suunto and Golf Yardage have made available some fabulous watches in this arena. Go grab one. Well a hybrid watch combines the best of both worlds. It looks like a beautiful classic timepiece but is extremely tech-savvy, traditional in looks but modern in its functioning. It has the capabilities of a smart watch while looking vintage-chic with a modern game plan. 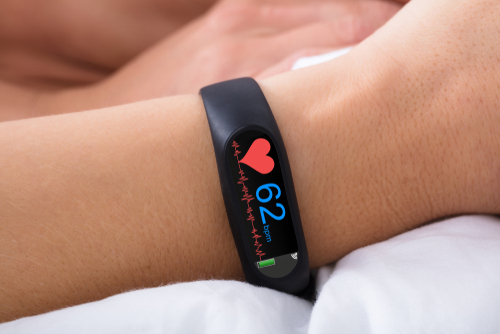 These are perfectly adept in tracking your physical activity and displaying notifications. If you love technology, but still want a traditional looking watch, hybrids watches is the way to go. Hybrid watches are slated to be huge trend in 2019. Now that we know what watch options we have in the market to choose from, here are some important things to keep in mind to help you make the right choice. Whether you are buying a watch for yourself or thinking of gifting one, these are a couple of things you need to keep in mind. We cannot stress enough on the fact that watches are very personal so whether you are buying a watch for yourself or planning to gift it, make sure that the watch reflects your personality or the person who you are purchasing it for. 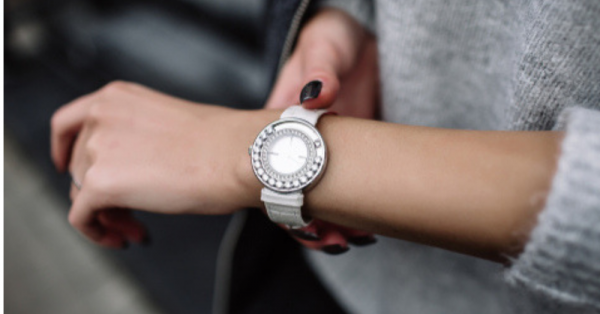 There is so much diversity now when it comes to women’s watches that makes gifting a very hard job. If you are buying a watch for yourself, think about what you want from your watch. For instance, when I look for buying a watch for myself, I look for sleek and slender designs that will sit well on my wrist. I am a sucker for anything vintage, so I always prefer analog over digital. Think about the size of the dial you’d like that would look nice on the wrist. Personally, I’m not someone who loves gadgets or technology per se, so I tend to stay away from the smart watch segment. In case you plan to buy a watch as a gift for someone, think about their personality and what they would prefer in their watch. It is always a good idea to ask questions about their preferences or likes or dislikes, but discreetly of course. Price is obviously a huge point to factor in when buying a watch. If price is not an issue then the sky's the limit. However, if you don’t want to spend a gazillion on one watch, don’t worry there are plenty of mid-level brands available in the market. Titan, for example, is one brand that has transformed and evolved over the years brilliantly. Knowing how much you want to spend and what kind of watch you can get in your budget will help you choose the correct watch. Price will also determine the brands and model that you want to buy eventually. Watches from brands like Michael Kors, Anne Klein, Casio, Tissot are mid-tier watch brands that offer great variety in pricing and models. Avoid unnecessary risks when thinking of buying a watch as a gift. In fact an elegant and chic watch makes for a better accessory than a flashy piece of jewellery sometimes. 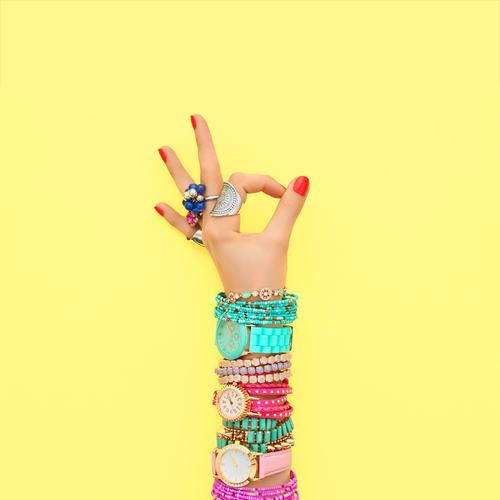 Experience would have taught you that, as a rule of thumb, people get bored easily and constantly yearn change, be it clothes, shoes or accessories and a watch should not be treated like that, especially if you are thinking of spending a good amount of money. Stay away from gaudy or flashy watches, or ones which have way too much bling factor. When you think of a long-term watch, always remember to buy something classy and timeless as they will never go out of style. The average dial-size for women’s watches is about 28-33 millimeter, however, much of that is based on the actual design of the watch. For instance, sports watches tend to have bigger dials both, for women and men. When buying a watch, ask yourself this, will you be wearing it every day or for special occasions? Will it compliment most of your wardrobe or not? What is the purpose of the watch you plan to buy? Sporty watches are usually big and come with multiple features, while a classic dress watch will be simple yet elegant. However, if you love wearing dresses and simply love a big sporty watch, well, pair them together and own that style. Whether you plan on buying a watch at a local store or online, here are things you want to know before spending a bomb. Strap size is very important, the standard length is 19.5-21 centimeters. You can always order additional metal links or longer straps in case the original doesn’t fit your wrist. Metal bracelet watches can always be tweaked according to your wrist size by either removing or adding metal links. In case you plan to buy a watch as a gift, avoid engraving on it at least till the warranty period is over as returning an engraved or personalized watch is non-negotiable. Now that you have bought your watch, how do you make sure that you make it last for years in mint condition. We have some expert-proof ways to help you take care of your watch. Watch experts believe that cleaning one’s watch is a good practice. All you need is a soft cloth and cleaning agent. 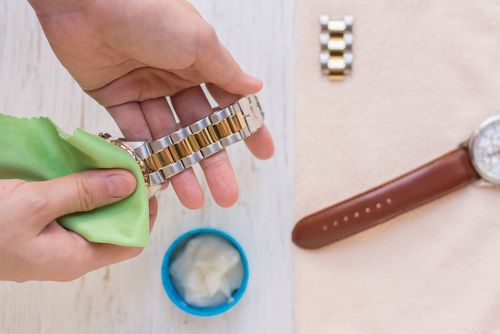 If you plan on wearing a watch every day, remember to give it a good cleaning every couple of weeks. Some watches are waterproof and can be soaked in soapy water to loosen the dirt. Watches are also a type of machine that undergo wear and tear. If you own a mechanical watch, do get it serviced every 2 to3 years and a quartz watch after every 3 to 4 years. Magnets can have an adverse effect on watches. They can interfere in the working mechanics of a watch. It is advised to keep watches away from magnetic objects as much as possible. Most watches these days are water resistant or splash resistant, especially high-end sports watches. Vintage watches, however, tend to lose this over a period of time. Keep the leather straps away from water to make them last longer. It is always a good practice to keep watches away from water in general. Do not throw away the watch box. Storing the watch in its box keeps it away from dust and the chances of getting the crystal surface scratched. The watch box provides protection for the watch by keeping it safe from dirt and dust that may get accumulate overtime and negatively affect its working. Jewellery watches and quartz watches need special care. Extended exposure to the sun can shorten the battery life and tends to fade the colour of your watch and straps. Never place them in direct sunlight. Avoid cleaning your watch with chemical based cleaning supplies. You also need to keep your watches away from perfumes and deodorants. Chemicals in perfumes tend to damage the straps and weaken them, especially leather bands. Put on your watch after spraying your perfume or cologne and make sure it is completely absorbed before wearing your watch. Never try to fiddle with the working of your watch by yourself. Do not try to open the watch to repair it. Opening a watch exposes it to dust particles which can leave them irreparable and interfere with athe working. If your watch needs repair, it is best handled by a watch expert. All watches come with a set of dos and don’ts. It is always a good idea to read the watch manual as it carries many instructions on taking care of a watch, especially in the case of luxury, smart or quartz watches. So now that we have equipped you with information regarding buying a watch and taking care of it, go ahead and make good use of it. Happy shopping!